Maryland’s Iron Man has been cranking out doom metal for decades around here and they recently released their fifth studio album, South Of The Earth. DCHM writer Grimy Grant wrote the following review of it, I hope you all like reading it as much as I did. Be sure to find him on Twitter at @jgrantd and let him know what you think of Iron Man or any other metal bands. And be sure to check out the videos at the end of the review to give them a listen while you read. 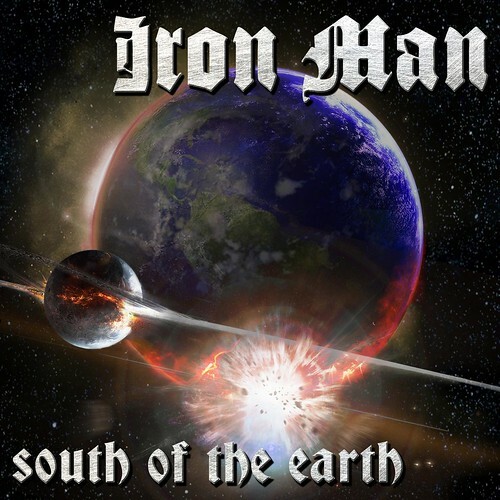 One of the original badasses of doom metal in Maryland, Iron Man, are showing the kids how it’s done with their new album South of the Earth. Iron Man have experienced various hiatus in their career, their most recent break coming right after Generation Void was released in 1999. Since 1988 (according to Metal Archives), they’ve built themselves from being a Black Sabbath tribute band into artists worthy of note not just in our area but around the United States as well. Sleep bassist Al Cisneros said they were “one of the best local bands” from Maryland onstage at Maryland Deathfest this year, which I can only imagine gives you infinite cool factor points. In short, they’re touted as one of the more traditionally heavy bands out there as well as one of the longest-lasting. South of the Earth is the band’s ode to both modern and traditional doom metal. There are deeper roots, obviously, to the traditional, Sabbath-like fuzz and bass sound in the guitars. This is really impressive on tracks such as the second track, “Hail to the Haze”, and the sixth track, appropriately titled “IISEOSEO (The Day of the Beast)”, where the guitars give off serious electric flair. At moments in South of the Earth, I felt like I was being transported sonically back to some low-lit, dank bar where Iron Man’s lead guitarist and founder, Alfred Morris III, is tripping out the audience of bikers and stoners with his sick riffs. Iron Man has added a new member recently, “Screaming Mad” Dee Calhoun, and he brings a tendency towards a southern-metal sound. This makes the vocals on some songs such as the title track, “South of the Earth”, sound more like southern metal. Dan Michalek’s vocals on 1999’s Generation Void were way more classic metal sounding, almost a mimic copy of Ozzy Osbourne. This isn’t to put Calhoun’s talent in a bad light – he has a wealth of talent as expressed in “The Ballad of Ray Garraty” where he starts the song off in a traditional, Dio-esque bass harmony. This doesn’t stop the fuzz coming from Morris and bass player Louis Strachan who are both dragging things back into that “classic heavy metal” sound. South of the Earth is the Bud-n-whiskey of the area’s metal: heavy metal that uses old-fashioned guitar chops, solid drums, and belting vocals. “Hail to the Haze” is a song that honors that kind of heavy rock while also making some poetical thoughts on the subject of psychedelics. Calhoun opens by asking to “Hail to the hallucination – come here to placate/Slip into my mind where I’m confined and take me away.” Backed by fuzzy guitars, it’s easy to follow Calhoun’s words and get lost in the song, just as the singer is possibly getting lost in drugs. Then Calhoun brings a warning that repeats through the song “How much longer – how much longer/How much longer can they hold before they explode… How much longer inside can this monstrosity hide?” The song, like the guitars going back and forth in the beginning, is pulled between reality and escapism. The track ends with a “Hail to the chemicals – ingest my final escape/But how much longer … /How much longer in this state I’ll be awake?” A chilling question that asks whether dying or going fully into a drug-induced coma is better than facing what’s inside the singer. Calhoun’s poetry makes a lot of the songs intriguing just because of the way the stage is set. “IISEOSEO (The Day of the Beast)” has a lot of that in it. Starting off with a jumbled-up series of guitar notes (no real studio tricks coming from the mix – just straight, old-school guitar noise, which I thought was cool) the song then launches into a ballad about Satan’s last days in paradise. What brought me to think of this song as significant are the choice of words to describe an angel’s descent: “The bracing of foot was a hope burned to soot”, and then: “In this year of the beast the sun dark in the east/With warmth that’s remembered by none/He sits there alone with a heart turned to stone.” It’s a vivid depiction that doesn’t need a whole lot of further interpretation for me. At the same time it could be argued that it’s almost too simplistic and a-typical of traditional metal. Singing about Satan is a go-to for almost any band such as Electric Wizard or Candlemass. Regardless, the way it’s worded shows a lot of thought and genius went into this song. 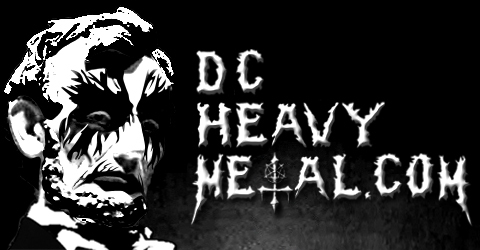 Classic metal, and I’m talking more specifically about Raven, Saxon, and Pentagram albums from the 1980s and early 90s, is more about listening to the power and might of the music in itself than being grossed out or blown away. That said, there are moments in the album where the music faded into the background of whatever I was doing. It’s only when I’m in the mood for good old-fashioned metal and really listening to everything that I really enjoy South of the Earth. Everything Iron Man does in the album is perfect, but it doesn’t always stand out that well. “Mot” Waldmann, drummer for the band since last year, has only a few moments of flair but otherwise the guitars and vocals take over each song. The rhythm is more similar to blues than anything else – with the drums lightly prodding on the band in the background and not providing as much intensity as in some bands. Sure, Morris and Strachan make up for this more than enough with wave after wave of sweet licks, but I wonder if there can’t be more pizazz from the whole band. Overall, South of the Earth wowed me with music that sounds like it’s from the very beginnings of 70’s psychedelic rock and metal tradition, while being rooted in today’s metal scene. When it rocks, it really rocks but without blowing up a whole lot of new ground. There are some cool things in here, too – like the “Ballad of Ray Garraty” that talks about the Stephen King novel The Long Walk from the 70’s where teenagers walk to death. There’s another literary reference from H.P. Lovecraft in “Half-Face/Thy Brother’s Keeper.” These points are all very straight-forward despite the poetic writing. It’s as if the band just wants to put on the best show they can without bringing too many new things into the scene. Iron Man delivers exactly what it promises: a really good time listening to what sounds like classic beats from the era of early metal.